This privacy notice will become effective from May 25th, 2018. 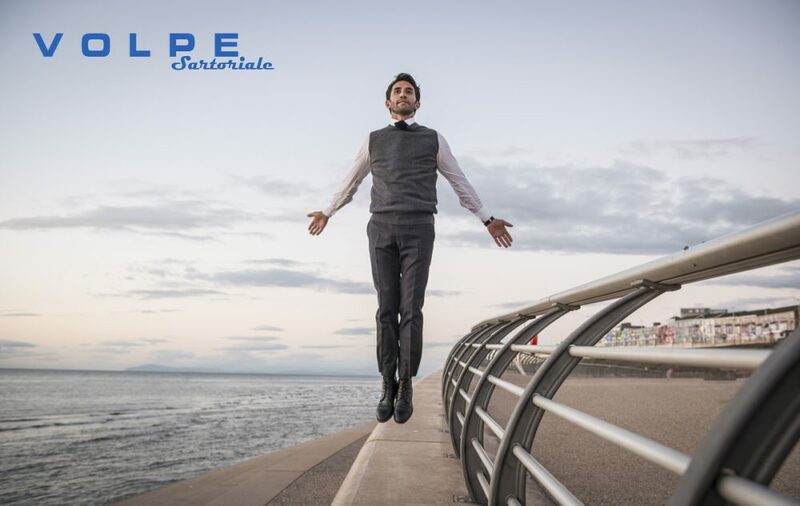 At Volpe and Volpe Sartoriale we understand that we have a responsibility to protect and respect your privacy and look after your personal data. This Privacy Notice, inclusive of our General Terms of Service, explains what personal data we collect, and how we use your personal data, reasons we may need to disclose your personal data to others and how we store your personal data securely. For clarity Volpe may be both data controller and data processor for your personal data under certain circumstances. Data protection laws state that we are only able to process personal data if we have valid reasons to do so. The basis for processing your personal data includes, but is not limited to, your consent, to enable billing and remittance, and to contact you for customer service purposes. The personal data that we may collect from you includes your name, address, email address, phone numbers and payment information. We do not retain or store your payment information in compliance with PCI DSS standards as set out by our payment partners. We retain records of your queries and correspondence, in the event that you contact us. · To help us identify you. · To notify you about changes to our website and services. We will keep your personal data for the duration of the period you are a customer of Volpe. We shall retain your data only for as long as necessary in accordance with applicable laws. We may not be able to delete your data before this time due to our legal and/or accountancy obligations. We assure you that your personal data shall only be used for these purposes stated herein. However, we will only ever share information about you that is necessary to provide any service you request and we will ensure your personal data is secure and will not be used for any marketing purposes. We may share your information if we are acquired by a third party and therefore your data will be deemed an asset of the business. In these circumstances, we may disclose your personal data to the prospective buyer of our business, subject to both parties entering into appropriate confidentiality undertakings. Similarly, we may share your personal data if we are under a duty to disclose data in order to comply with any legal obligation or to protect the rights, property, or safety of Volpe our customers, or others. This includes but is not limited to exchanging information with other companies and organisations for the purposes of fraud protection, credit risk reduction and dispute policies. However, we will take steps with the aim of ensuring that your privacy rights continue to be protected. You have the right to access the information we hold about you. Please email your requests to volpe@talk21.com so that we can forward this information for you. www.volpe.ltd.uk may provide links to third-party sites. Since we do not control those websites, we encourage you to review the privacy policies of these third-party sites. Any information that is supplied on these sites will not be within our control and we cannot be responsible for the privacy policies and practices of these. By providing your data to us, you agree to this transfer and storage. However, we will ensure that reasonable steps are taken to protect your data in accordance with this privacy notice. Any sensitive data (payment details for example) are not stored by us in agreement with our payment partners; adhering to their PCI DSS compliance procedures.